In the first real-world trial of the impact of patient-controlled access to electronic health records, almost half of the patients who participated withheld clinically sensitive information in their medical record from some or all of their health care providers. Should patients control who can see specific information in their electronic medical records? How much control should they have? Can doctors and other clinicians provide safe, high-quality care when a patient’s preference may deny members of the medical team from seeing portions of the electronic medical record? What is the appropriate balance between individual privacy concerns and health care providers’ need for relevant data? The Regenstrief Institute, Indiana University School of Medicine and Eskenazi Health (formerly Wishard Health Services) partnered to design and conduct the first real-world trial intended to help answer these and related questions. During the six-month trial, 105 patients in an Eskenazi Health primary care clinic were able to indicate preferences for which clinicians could access sensitive information, in their electronic medical records, such as information on sexually transmitted diseases, substance abuse or mental health, and designating what the clinicians could see. Regenstrief informatics developers then created a system where those preferences guided what information doctors, nurses and other clinic staff could see. Patients were able to hide some or all of their data from some or all providers. Importantly, the healthcare providers were able to override patients’ preferences and view any hidden data, if they felt the patient’s healthcare required it, by hitting a “break the glass” button on their computer screens. When providers hit this button, the program recorded the time, the patient whose electronic chart was being viewed and the data displayed. The results of the trial are presented, interpreted and analyzed in five peer-reviewed research papers describing how the patient-controlled system was developed, how the trail was conducted and how patients and their providers felt about patient control; a point-counterpoint discussion; and commentaries that comprise the January 2015 supplement to the Journal of General Internal Medicine. “To the best of our knowledge, a trial like ours has never been attempted before, and we believe it presents an opportunity to shape national policy based on evidence,” said Regenstrief president and CEO William Tierney, M.D., principal investigator of the project. “We learned that patients have widely different opinions of what kinds of their health care data they would like visible to different members of their health care team and others, such as health services researchers, who might have access to information in their electronic medical record. 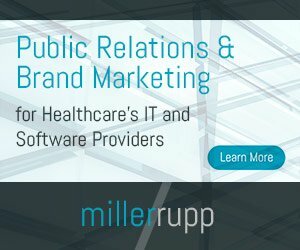 Not surprisingly, the researchers found that doctors and other healthcare providers were highly concerned about adverse effects on both the quality of care and on the provider-patient relationship if patients were allowed to hide information in their electronic health record from their doctors and nurses. The Regenstrief Institute developers worked through the many technical and organizational challenges of creating and implementing a system allowing patients to control who could see specific information in their electronic medical records, then actually implemented this patient preference system for six months in a busy urban primary care clinic. In the real-world trial, 49 percent of the 105 patients who participated elected to withhold information contained in their medical record from some or all of their health care providers. Patients strongly desired such control, while their providers had mixed reactions. Some were fine with it as long as patients knew that hiding information could adversely affect their care, and they were willing to take that risk. Other health care providers strongly objected to not being able to see all of the information in their patients’ records, not wanting to be responsible for bad or unsafe care. A review of Fair Information Practice principles as applied to health care, analyzing the bioethical points to consider in constructing a patient-controlled electronic health record. A paper describing development and field-testing of a web-based Regenstrief Medical Record System for obtaining patients’ preferences regarding data (known as segmentation) during the trial. A paper outlining the technical and organizational challenges to implementing data segmentation preferences in a real-world electronic medical record system. A paper describing how patients in an inner-city primary care practice expressed their preferences for who can see what in the patient’s electronic medical records. A paper describing a six-month field test of this system and the impressions of providers (physicians, nurses, certified nursing assistants, physicians’ assistants, nurse practioners and medical assistants). A point-counterpoint article: a debate between a privacy advocate who believes that patients should have absolute say on who can see what in their electronic medical record versus a clinician who believes that physicians cannot deliver safe, high-quality care unless they have access to everything in their patients’ medical records. Commentaries by current National Coordinator for Health Information Technology Karen DeSalvo, M.D., and former National Coordinator David Blumental, M.D., currently president of the Commonwealth Fund. “Our work presents an opportunity to shape national policy based on evidence,” said Dr. Tierney, who notes that this real-world trial was possible because, since the mid-1970s, the Regenstrief Institute has provided Eskenazi Health with its electronic medical record system. “This partnership allows Regenstrief investigators and Eskenazi Health providers to study health care innovations that would not be possible with commercial electronic medical record systems.” Eskenazi Health is one of the largest safety-net health systems in the United States. This work was supported in part by a $1.6 million grant from the Office of the National Coordinator for Health Information Technology to the Indiana Health Information Technology Corp. The content, views and opinions do not necessarily reflect those of the Department of Health and Human Services or the Office of the National Coordinator for Health Information Technology. “It is important for patients to have confidence in how clinicians and others use their sensitive health information. Patient-centered decision making in electronic health information exchange can inspire trust in health IT and the papers in the journal, along with the Regenstrief study, give us new insights on these issues,” said Lucia Savage, the chief privacy officer of the Office of the National Coordinator for Health Information Technology.